Summer is such a great time to be intentional with your kids! 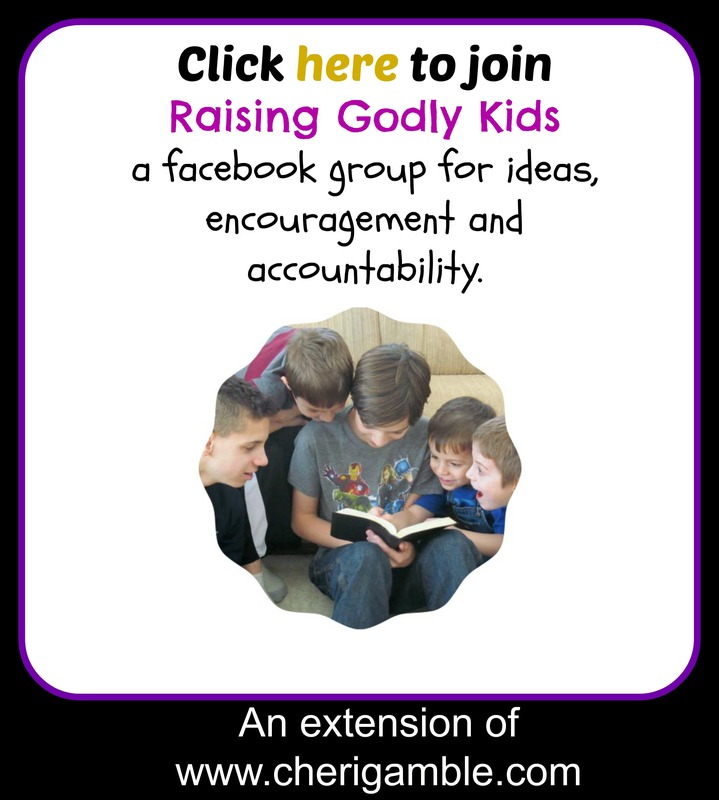 There are Vacation Bible Schools, summer camp programs, and church events that can all help your child grow in his faith. But nothing will help your child grow in his faith more than a daily time with God . . . a time where he learns to dig into the Word on his own and to talk with God through prayer. Getting your child to do that, however, can be tough. Often our children don’t know what to read or how to pray. This is one of the reasons you will find the prayer calendars and Bible reading plans on my site. I know how difficult it can be to help a child develop his own time with God. (In all honesty, it’s pretty difficult for many of us adults, too.) It is my hope that the calendars will help your child (and family) develop a stronger prayer life and will help your child pray those BIG prayers and recognize the global impact he can have from his own home through the power of prayer! 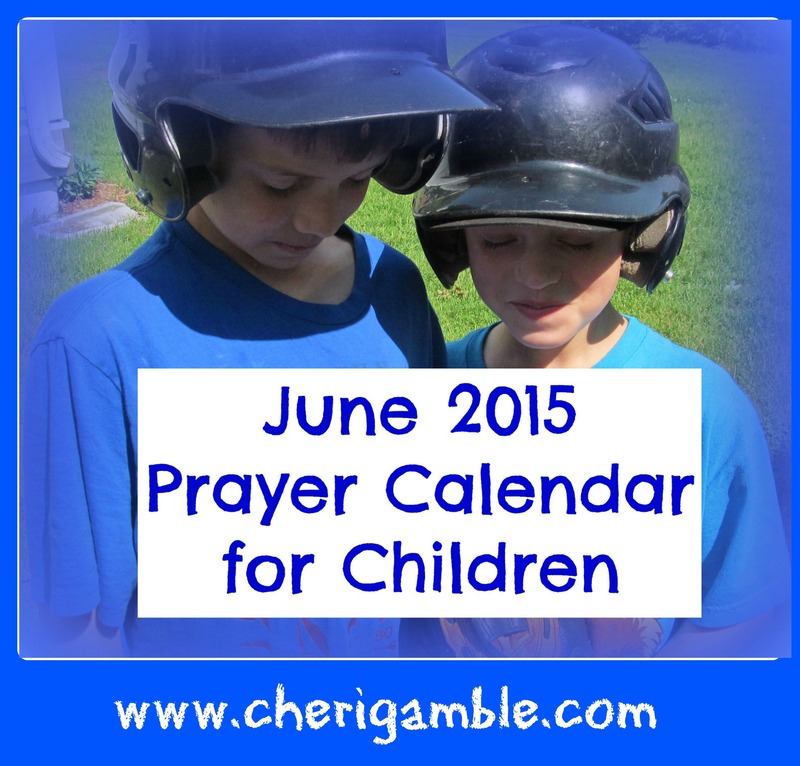 So print off the calendar for June, use it as a guide, and help your child make a difference this month through prayer. 1 Pray for those who work in inner-city missions. 2 Pray for the coaches in your community. Are you on a team? Pray for your coach! 3 Pray for your grandma and grandpa. 4 Pray for the forgiveness of your nation. 5 Pray for the temptation to be boastful and proud. 7 Praise God that He is always with you! 8 Pray for the Christians who work in politics. 9 Pray for your doctor or dentist (or both) by name. 10 Pray for your relationship with Jesus to grow stronger this summer. 11 Pray for the ability to take responsibility for your actions and to ask for forgiveness when needed. 12 Pray for the strength to resist when temptation is strong. 13 Pick flowers for a neighbor. Pray for that neighbor. 14 Praise God that He knows all things and you can trust Him with your life! 15 Pray for Muslims to turn to Jesus as their Savior. 16 Pray for the person who annoys you the most. 17 Pray for your dad. Pray for his relationship with Jesus to grow stronger! 18 Pray for God to heal the bitterness and anger that may exist in your family and nation. 19 Pray for the temptation to use bad language. 20 Make a nice card or gift for your dad. Pray for him! 21 Praise God that He is your Abba Father and loves you as His child! 22 Pray for the Supreme Court of the United States. 23 Pray for the people in your church to spread God’s love to your community. 24 Pray for the courage to stand up for what is right — no matter what! 25 Ask God to search you and show you areas where you need forgiveness. 26 Pray for the temptation to have a bad attitude. 27 Go for a prayer walk in your neighborhood. 28 Praise God that His love never fails! 29 Pray for God to help you to be a missionary right where you are! 30 Pray for children who do not have families. Saturday: Suggested activity to end each week.